Uncover why word-of-mouth marketing is THE way to make your catering business start-up a success. When your catering business is at it's start up phase, remember that word of mouth marketing goes a long way. 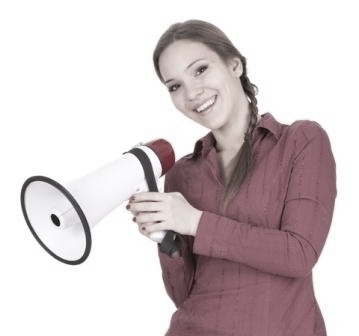 So below are a few tips and ideas to help you get your word-of-mouth marketing campaign started. While this sounds so basic, too many catering business start ups bite off more than they can chew, or underestimate what it takes to really give their clients an event that they can rave about. Make sure you focus your efforts on getting the word out to people who will recommend you in a heartbeat to others looking for someone to cater their event. There are some people who are born to spread the news - and by getting your business cards and catering goodies to them, you are building a great word-of-mouth marketing potential. You'd be surprised at how much word of marketing goes on in many of these local businesse. Don't take on more than you can handle. When starting your catering business, only take those jobs that you know that you can handle with confidence and quality. Make yourself known in your community. As a new catering business start-up, you have to make yourself known in your community. Make room on your calendar and your budget to offer free tastings at community events, family-friendly affairs, bridal showers and other events that will get you known in your community. Really utilize social connections. If you aren't a social butterfly, then find a friend (or even a friend of a friend) who is. While the ideas presented above may seem simple and pretty straight forward - they can be quite powerful in getting your new business in front of potential clients. Word of mouth marketing is priceless. Whatever you do, don't overlook these ways to get your business known.During your catering business start-up phase and all throughout the life of your business, you will need to rely on community members to spread the word of your catering business. P.S. Here's A Few More Tips To Make Your Catering Business A Success!